All week leading up to the tasting I was craving some pie, I passed up opportunities for low end and high end pizzas, holding out for Paulie's and I'm definitely glad I did. Paulie and his wife Mary Ann greeted us warmly by and within moments of arriving we were toasting each other with Paulie's legendary homemade limocello--a delicious way to start out any evening. Limocellos in hand we made our way to the back yard to see where the magic happens. 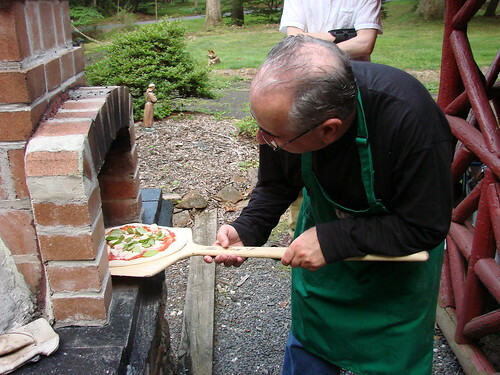 When I first spotted the brick oven in Paulie's back yard in New Jersey, my little Napoletana heart started to pitter pat. Was Paulie Gee's fam from Naples? Actually Paulie's grandparents immigrated from Palermo. 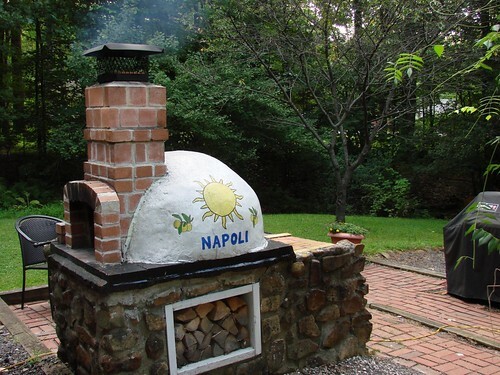 The "Napoli" on the side of the pizza oven was in honor of the great pizza making tradition from the region. Can't argue with that! 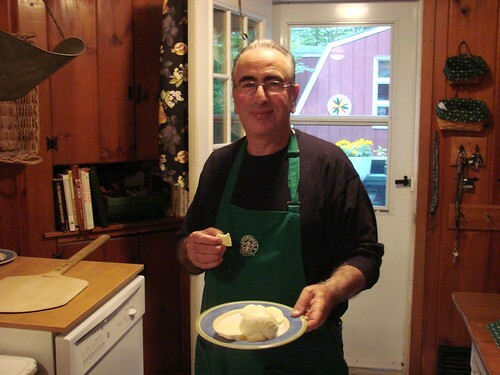 Lawman and I chatted with Paulie and Mary Ann while we waited for Pizzablogger and his wife to arrive for dinner and we sampled Paulie's homemade cow's milk fior di latte. 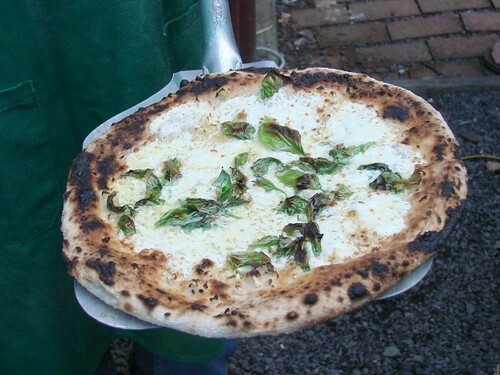 The first pie up was the classic Margherita, an ideal pizza for showcasing Paulie's homemade mozzarella, delicious secretly sourced tomatoes and fresh basil. His crust managed to be light and crisp with just the right amount of chewiness and char. 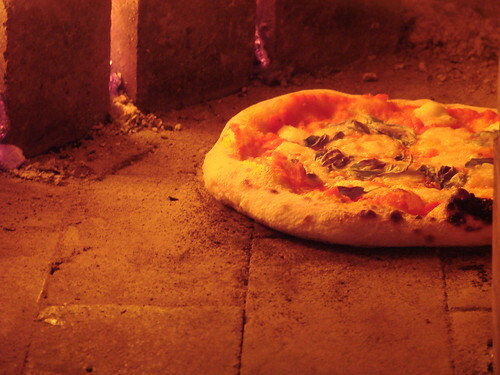 Paulie's wood fired brick oven gets to 900 to 1000 degrees and cooks the pies within a matter of just a couple minutes so when the pie is in the oven it needs careful attention to make sure it gets turned and removed from the oven at just the right time. 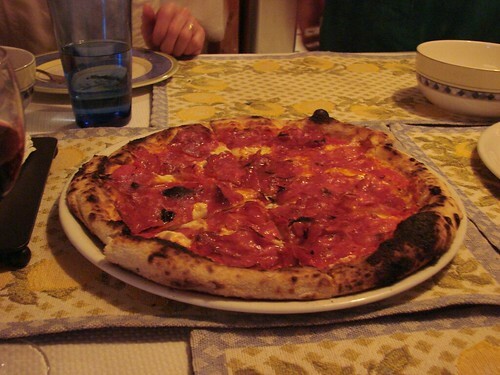 When the Margherita was finished in the oven, Paulie whisked it inside to add the Proscuitto di Parma on top right before serving so that the meat wouldn't get cookied along with the pie. Incredible. 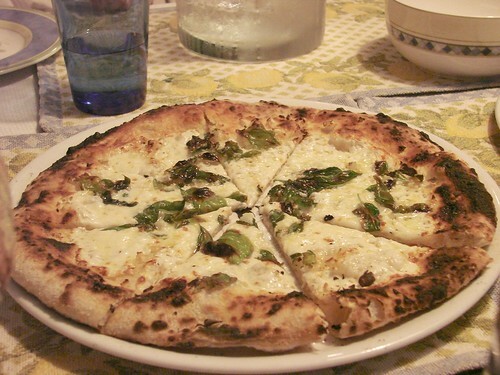 Our second pie of the night, the Bianco with Chopped Fresh Garlic, Pecorino Romano, and fresh basil was just the right balance of saltiness and sharpness. Melt in your mouth perfect and though it's hard to pick one, this ranks up there with some of my favorite pizza of the evening. 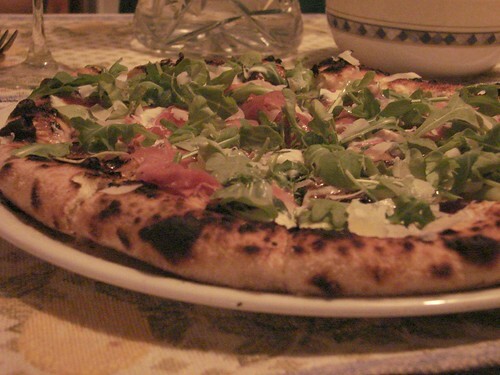 Another favorite that emerged was the accidental combination of Fig, Marscapone, Proscuitto di Parma, and Baby Arugula. I've never had marscapone on a pizza before and this pie was INCREDIBLE. 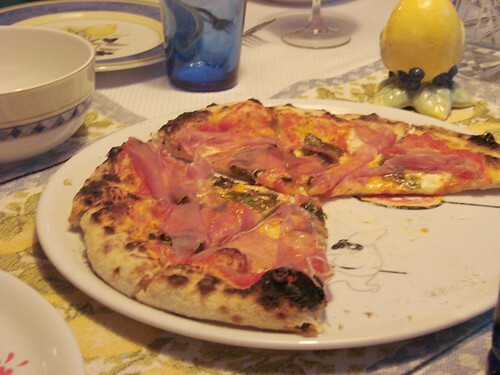 The interplay between the sweetness of the figs and the marscapone, the saltiness of the Proscuitto di Parma, and the hint of bitterness in the Baby Arugula hit all the right notes. To Paulie and Mary Ann, thank you for the incredible generosity you showed by inviting us to your home for this remarkable dinner. Paulie, you make a terrific pie and I hope that your dream of having your own place in the city are realized soon. For any would be investors out there--Paulie is a terrific guy and a terrific pizzaiolo. If his pie were available in the city it would definitely be among the greats. Great write up and excellent pictures (glad one of us remembered their memory card!). I'm hungry for another marscapone and fresh fig pie right now. It was a pleasure meeting you and lawman during what was a great evening with the Gee's. Thanks so much for all your kind words Brownie. It was truely my pleasure to have you, Lawman, Mr. and Mrs. Pizzablogger and Wally (and we were sorry that his guest couldn't make it). And I love your photos. Just one thing; in the future please no overhead hair shots. Especially right after I've had my hair cut. it goes without saying that these all look absolutely delicious. great work! 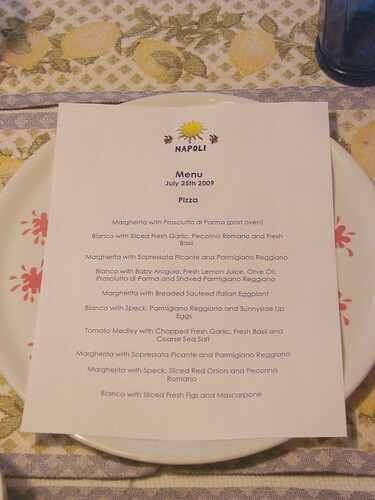 In June I received (I begged) an invite to a Paulie Pizza Tasting. I wish he'd open a pizzeria already!